Sleep is just as important as diet and exercise for a healthy lifestyle. Inadequate sleep leads to poor mood and impaired performance. Poor sleep leads to weight gain, obesity, and heart disease. 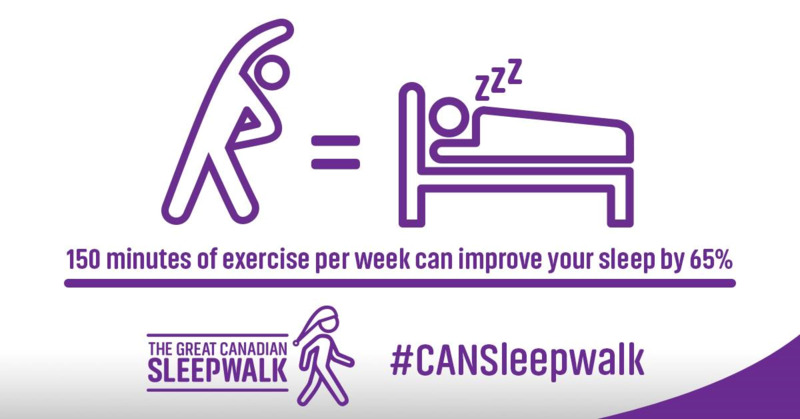 According to ParticipACTION, many kids are too tired to get enough physical activity during the day, and not active enough to be tired at night – it’s a vicious cycle. For optimal health, children and youth need to sweat, step, sleep and sit the right amounts. © 2019 World Sleep Society. All rights reserved. Any commercial use of any information contained on this website is strictly prohibited without the express written consent of the World Sleep Society.